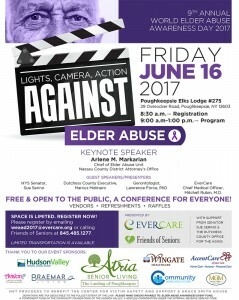 EverCare, a non-profit organization providing Managed Long-Term Care Plan, Certified Home Health Agency, and Adult Social Day Program services in the Hudson Valley, is planning to host a conference highlighting the 9th Annual World Elder Abuse Awareness Day. 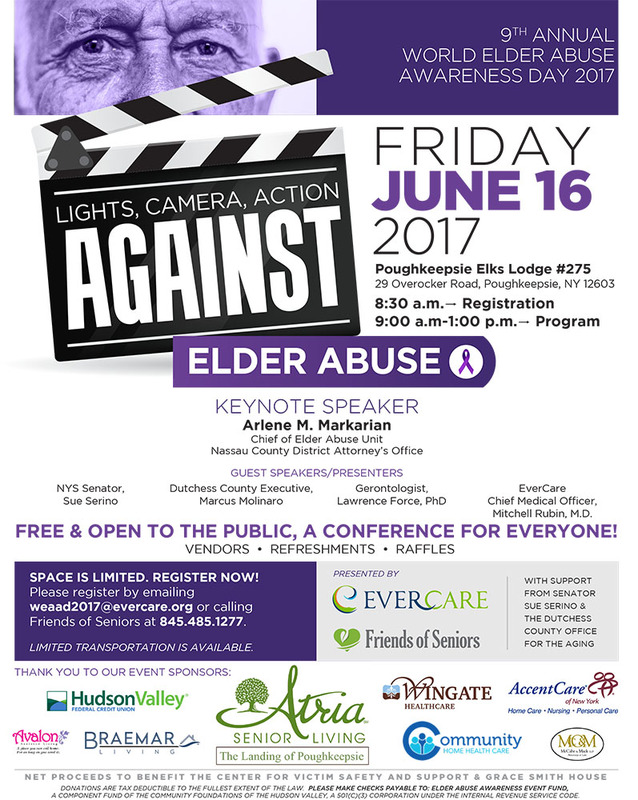 “Lights, Camera, Action Against Elder Abuse” will be held on Friday, June 16 at the Poughkeepsie Elks Lodge #275. Conference registration will begin at 8:30 a.m. followed by the program from 9 a.m.-1 p.m. This free conference, which open to the public, is being hosted in conjunction with Friends of Seniors of Dutchess County. Friends of Seniors is a volunteer-based program that provides a basic support system to the Dutchess County older adult community through services such as non-emergency medical transportation, grocery shopping, visiting services, telephone reassurance, respite for primary caregivers, and referrals to other agencies. EverCare Chief Medical Officer Mitchell Rubin, M.D. 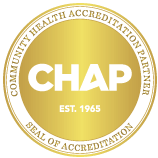 “This event is the perfect opportunity to help educate our community and shine a light on the grave issues that plague our elderly population,” McTigue added. A recent study of elder abuse prevalence in New York State found that 76 out of every 1,000 older New Yorkers were victims of elder abuse in a one-year period. The reported incidence rate is nearly 24 times greater than the number of referred cases. This suggests that many elders are not seeking, or getting, the assistance they need. If you are interested in becoming a sponsor of this event, please contact Dana Pavelock at dpavelock@evercare.org. Space is limited and registration is required. Please register by emailing weaad2017@evercare.org or calling Friends of Seniors at 845.485.1277. Limited transportation will be available. All net proceeds from this conference are being donated to the Center for Victim Safety & Support and Grace Smith House, Inc. for use to support education and outreach, as well as to provide direct support to victims of elder abuse.